Tucked on six pristine oceanfront acres fringed with palm trees and tropical vegetation + a striking infinity swimming pool, flanked with chaises longues angled towards the ocean and sophisticated decor, Zemi Beach House Resort & Spa redefines luxury island living for a new generation. Blending contemporary residential style with unique experiences that reflect the island’s rich history and the traditions of its people, this elegant newcomer on the shores of Shoal Bay East inspires all to enjoy life and nature. 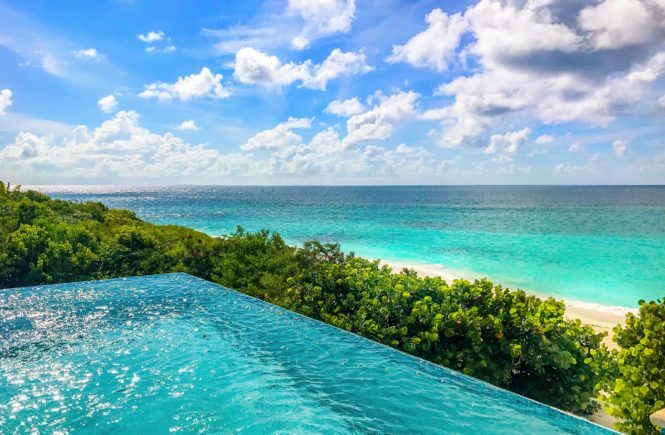 Once a sleepy British West Indies isle, Anguilla is fast becoming the Caribbean’s most stylish island retreat. I visited this paradise one month ago and I am ready to tell you in detail how it went.